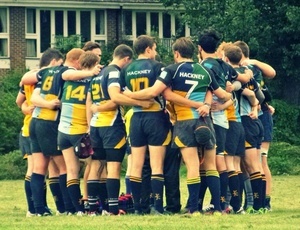 10 Apr 2014, 10:22 a.m.
A big congratulations to Hackney 2s and 3s who both secured promotions last weekend. The Griffins, not to be outdone, have the opportunity to be promoted themselves this weekend when arch rivals Belsize Park come to fortress Spring Hill. After 16 wins on the trot a win against Belsize would be an apt way to end a fantastic season for the 1s. Let's get a big crowd down to the game complete in as much Hackney stash as possible to show our support to the Griffins.